Improvado will use the financing to accelerate the adoption and expansion of the company's disruptive data middleware solution. 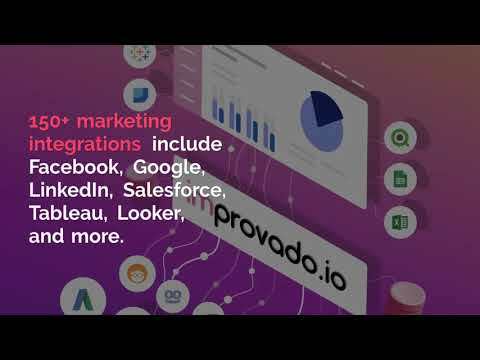 SAN FRANCISCO, April 16, 2019 /PRNewswire/ -- Improvado, the leading marketing middleware platform, announced today that it has raised $8 million total in Super Seed funding. Venture capital participants in the round include Bullpen Capital, Cabra.vc and IAdata. Angel investors include Google and Oracle executives, and founders from many of the most recognizable brands in the marketing world, including: Auren Hoffman (LiveRamp founder), Joe Zawadzki (MediaMath founder), Omar Tawakol (BlueKai founder), Rajeev Goel (Pubmatic founder) and more. A full list of investors is available here. Improvado is positioned to disrupt the marketing technology industry with their platform that was built to connect and consolidate data from different sources into one central repository, without engineering support. Integrations include 150+ marketing platforms, such as Facebook, Google, Linkedin, and Salesforce, and visualization tools such as Tableau and Looker. Both marketers and engineers love that this turnkey solution does not require developers to build and maintain APIs, yet it can handle complex data types at scale. The additional capital will build on the company's triple-digit year-over-year growth, support continued product development and fuel go-to-market expansion. Improvado customers rely on the platform to extract data from various marketing execution platforms into one central hub, reducing their manual reporting time by up to 90%, bridging data gaps across teams and fueling predictive modeling. "Improvado's sustained and rapid growth is proof of its ability to manage the scale of data that leading brands are utilizing in today's digital ecosystem," said Paul Martino, Managing Partner at Bullpen Capital. "With one unified view of key metrics and insights, enterprises can make smarter decisions across the entire customer journey, uncover data blind-spots and increase organizational transparency." "There are now over 7,000 marketing technology platforms, up 20x in the last 10 years, and the average marketer uses at least 12 different platforms while managing ads, email automation, web analytics, social media, search, SEO and more," explains Daniel Kravtsov, Founder & CEO of Improvado. "Every leader in the space agrees that this creates a huge problem when it comes to data aggregation. Salesforce, IBM and Talend all raced to acquire middleware companies in 2018. Marketing middleware is the glue that brings this fragmentation together." Improvado enables marketing and analytics leaders to collect all their marketing data in one place, in minutes – empowering them to work smarter, not harder. Based in San Francisco, California, Improvado provides a flexible and scalable marketing middleware solution to brands like Ancestry, Intercom, RingCental and Perdue, and agencies like Havas, WPP and OMD. Venture capital investors include Bullpen Capital, Cabra.vc, Nimble Ventures, and IAdata. Angel investors include Google and Oracle executives as well as founders from many of the most recognizable brands in the marketing world, including: Auren Hoffman (Liveramp founder), Joe Zawadzki (MediaMath founder), Omar Tawakol (BlueKai founder), Rajeev Goel (Pubmatic founder) and more. A full list of investors is available here. To learn more, visit Improvado.